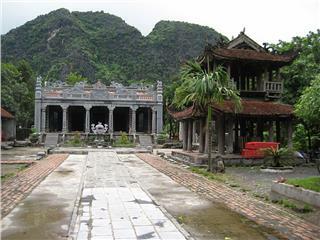 Hoa Lu Ancient Capital used to be a firm military stronghold of 3 consecutive dynasties in Vietnam history: Dinh Dynasty, Early Le Dynasty, and Ly Dynasty. The ancient capital is a magnificent and majestic palace which is surrounded by arc-shaped rocky mountains, spectacular scenery and numerous calm lakes... 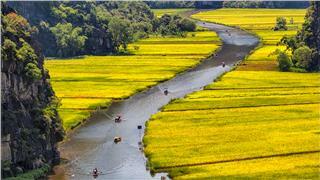 They all create the tranquil and charming landscapes along with the mysterious characteristics, leaving a strong appeal for tourists when taking part in Ninh Binh travel. 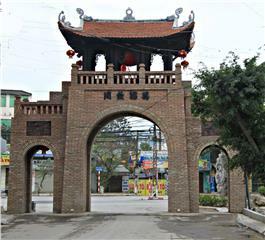 Hoa Lu Ancient Capital owns a width of about 300 hectares, including the Inner, Outer and Southern Citadel, which is surrounded by a series of majestic mountains and scenery. 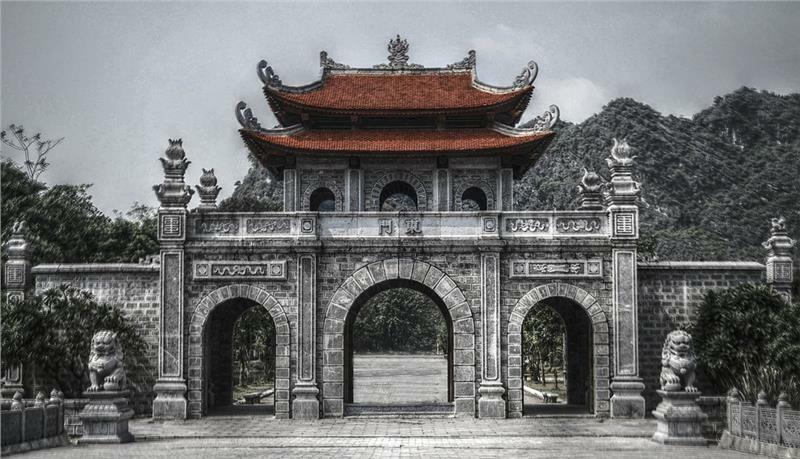 The Outer Citadel with approximately 140 ha wide is also the main palace which the area of Le Temple and Dinh Temple is the center. 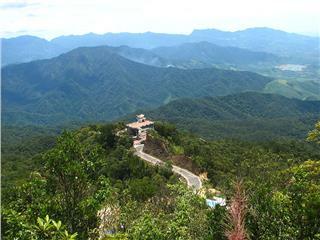 Hoa Lu Ancient Capital consists of 2 layers of Citadel side by side and adjacent a mountainous area. According to the arrangement of Dinh Le Dynasty, 3 layers were divided into the East, the West and the South Citadel. 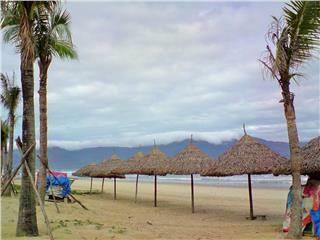 The South Citadel only played the role of an arduous military base; it is often called Trang An Citadel. 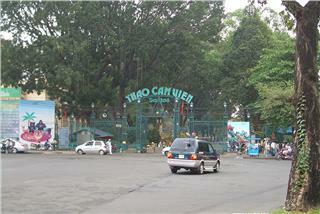 Meanwhile, the other citadels are home to palace which should also be referred to Hoa Lu Ancient Capital. 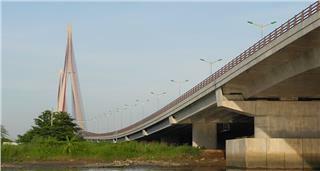 When King Ly Thai To moved the capital to Thang Long, Hanoi in 1010, Hoa Lu officially became the Ancient Capital. 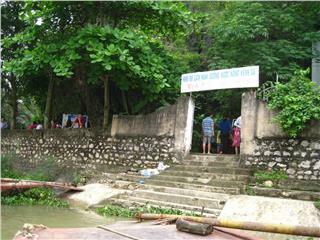 Image of Hoa Lu Ancient Capital today is not intact as before, but replaced by temples and shrines. 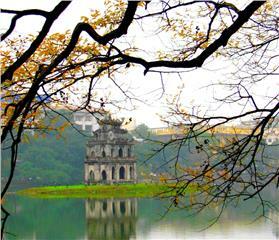 Accordingly, Temple of King Dinh - King Le was built on the foundation of Hoa Lu Ancient Capital. 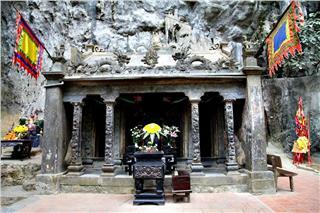 Two temples separated about 500m, so tourists often called "Hoa Lu Ancient Capital" "Temple of King Dinh - King Le". 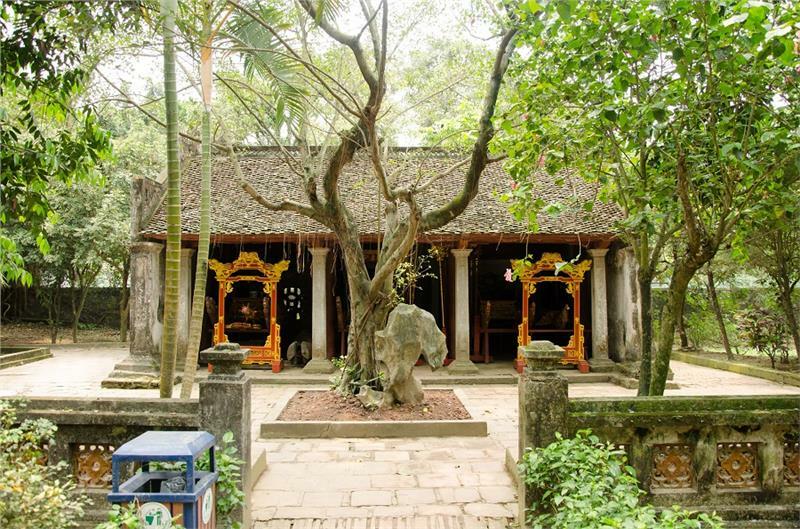 Currently, the complex of Hoa Lu monuments has retained around 30 relics, 2 typical of which are King Dinh Temple and King Le Temple. There are also a great number of temples and pagodas thousands of years also contributing to highlight the architectural works in the main palace. 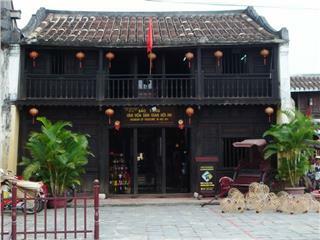 One of the unique architectures in the ancient capital is the Temple of King Dinh - worshiping King Dinh Tien Hoang. 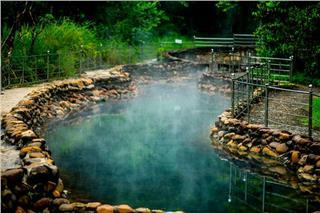 Later Le Dynasty was restored and rebuilt the temple a few hundred meters from the foot of Ma Yen Mountain. 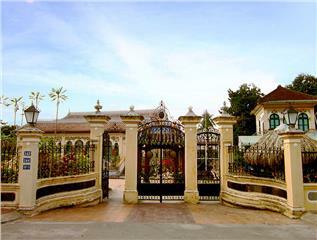 Over 4 centuries, the temple has retained the majesty and tranquility thanks to stunning architectural works: Ngo Mon Gate, Lotus pond, flower garden, or inner gates... 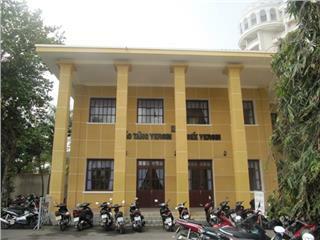 The temple also owns 3 pavilions: the outer one is a sanctum, the middle is called Thien Huong worshiping 4 "pillars' of the imperial court, namely Dinh Dien, Nguyen Bac, Trinh Tu, Luu Co, and the inner worships King Dinh Tien Hoang at the chancel, along with 3 princes: Dinh Lien, Dinh Toan and Dinh Hang Lang. 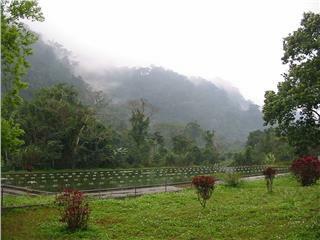 The walkways and walls around of the temple are covered with the moss over times, and surrounded by lush evergreen gardens. In particular, front of the temple's main entrance has put monolithic Long Sang (the bed for Kings) with a pair of much vivid shellfishes. 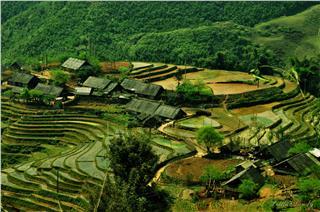 The decorative patterns, flowers, pictures of animals... were sophisticatedly carved around "Long Sang". 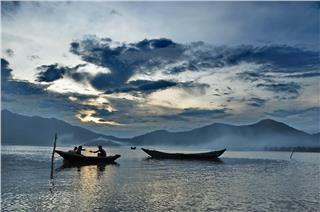 Shortly before King Dinh Temple, tourists will meet Ma Yen Mountain looking like a saddle. 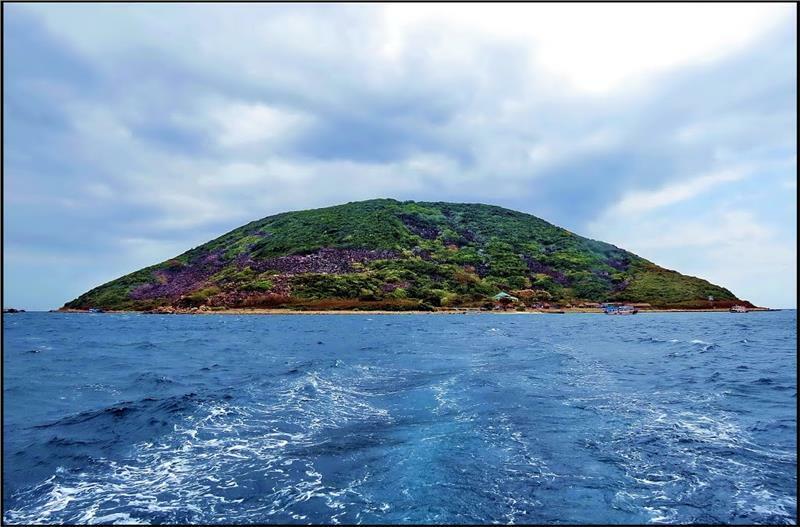 After climbing up 265 steps to the top of the mountain, tourists will witness the tombs of King Dinh. 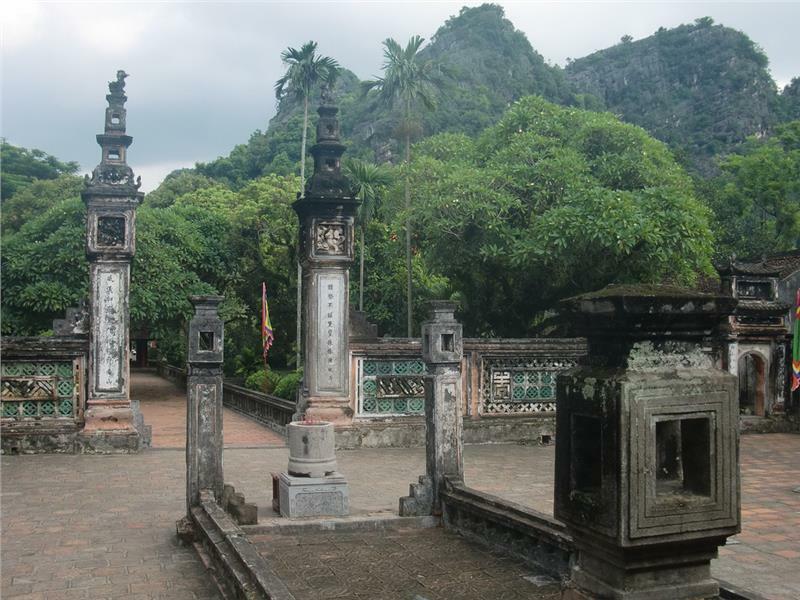 The tomb of King Dinh Tien Hoang was built of gray stone, situated on the mountain peak and surrounded by fresh vegetation. 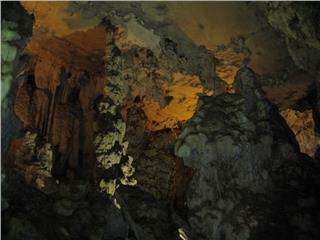 In particular, tourists can admire panoramic views of Hoa Lu monument complex as an ink-washing painting. 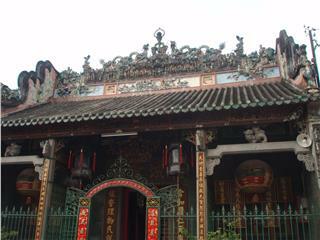 Not far from the temples of King Dinh is King Le Temple, worshiping King Le Dai Hanh (ie Le Hoan). Le Temple is fairly small and much more simple. 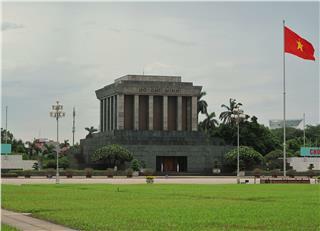 The chancel of the temple retains 3 statues: King Le Dai Hanh on the throne located in the center, Queen Duong Van Nga on the left and King Le Long Dinh on the right. 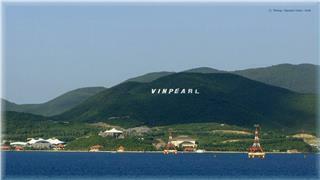 The temples has retained traces of ancient architecture with elaborately and virtuously carved plaques. These precious artifacts are stored in the museum room of the temple. 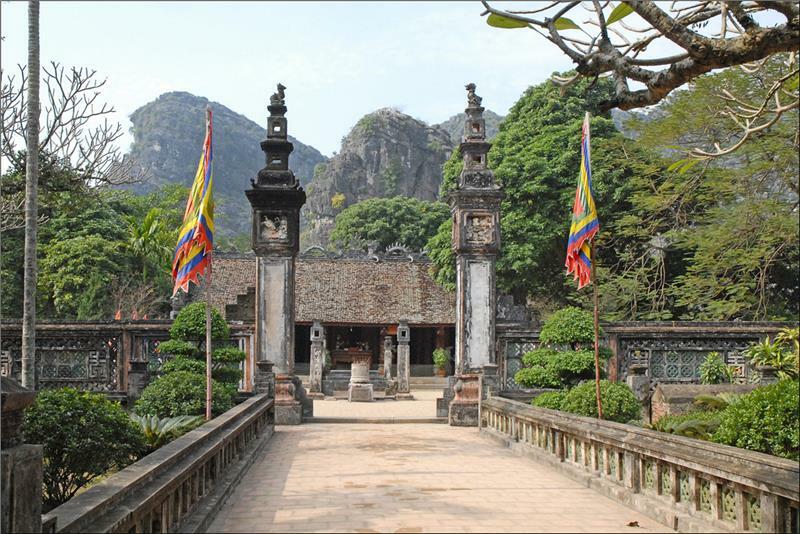 Hoa Lu relics are home to numerous beautiful temples, such as Ngan Xuyen Pagoda (near Ma Yen foothill), Nhat Tru Pagoda (far about 200m from Temple of King Le)... attracting a great number of tourists. 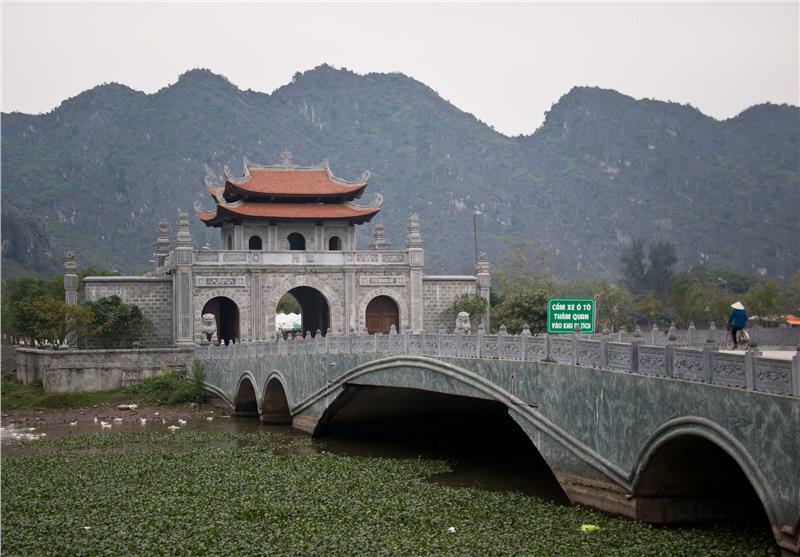 Hoa Lu Ancient Capital is not only the complex of special national monuments but also one of 3 areas forming Trang An Scenic Landscape Complex, which has been officially enrolled in list of World Heritage by UNESCO. 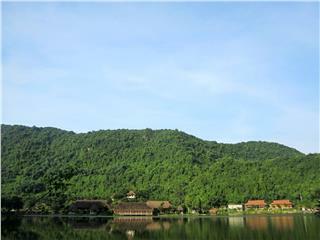 Back to Hoa Lu, tourists will be immersed in the wonderful beauty that the nature has bestowed upon this sacred land; simultaneously, admire the ruins of Hoa Lu Ancient Capital and ascertain much more about architecture, art, culture and society of the Vietnamese. 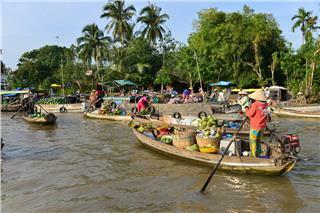 It significantly contributes to promote Ninh Binh tourism to both domestic and international tourists.